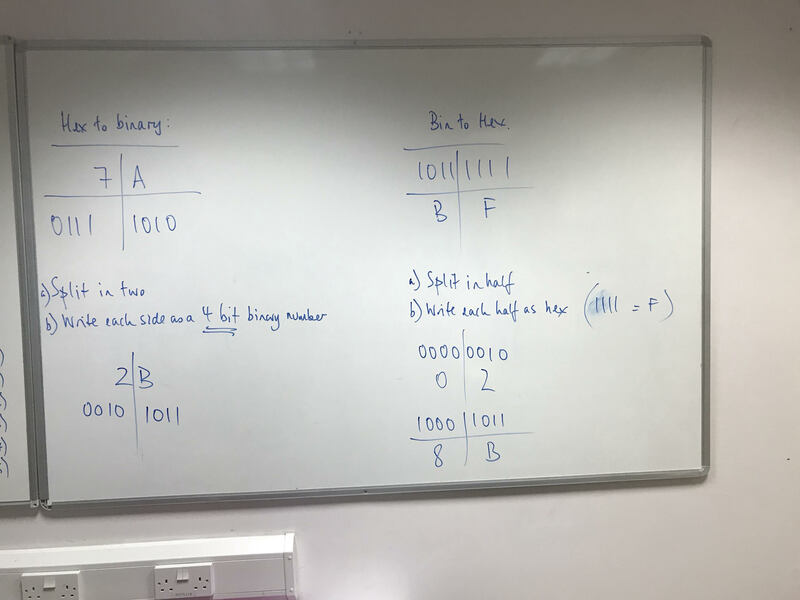 You need to be able convert hexadecimal to and from 8-bit binary numbers and to and from decimal numbers. Just remember that A = 10! 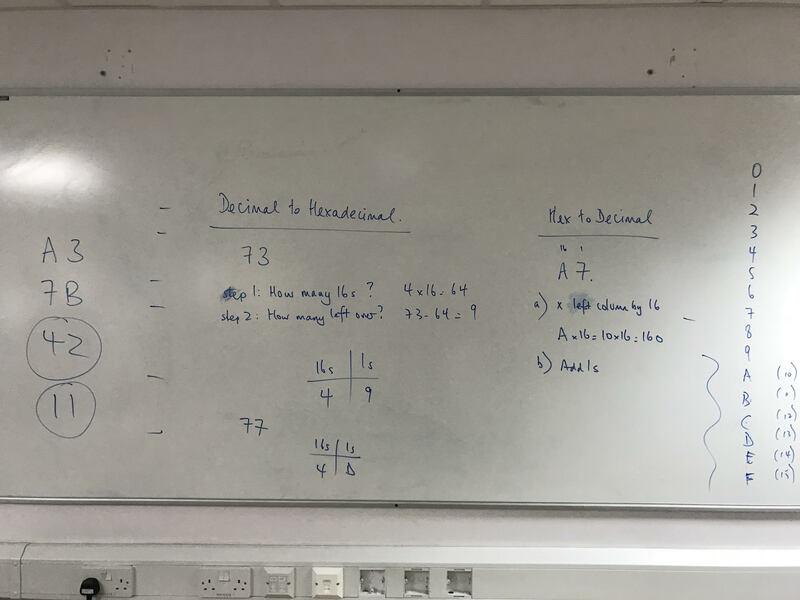 Hexadecimal basics - notes on how it all works. The list on slide three is super important to know. The 16 times table - and how not to panic when doing the maths. Slides used in class. One really important thing to remember is that the hexadecimal number FF = 255 - which is the same as the 8 bit binary number 11111111. So, 255 is the largest number which can be represented using 8 bit binary (a byte) and a 2 digit hexadecimal number. It's interesting to note that it's generally much easier to convert Hex to Binary. It's only when decimal gets involved that things become trickier. There's likely to be one or two marks on hexadecimal on the exam. This page created: 14 September 2018. Last updated: 5 October 2018.